Last Easter saw a Blood Moon – some people predicted it heralded the end of the world. And yet … here we all are! •	The Crucifixion of Jesus was said to have taken place at the time of a Solar Eclipse – hence why the sky went dark after Christ died. •	According to the Koran, an eclipse preceded the birth of Mohammed – it’s believed to have been a total solar eclipse that lasted three minutes and 17 seconds in 569 C.E. •	King Henry I, the son of William the Conqueror, died in 1133 at the exact time of a solar eclipse that was later described by 12th century historian William of Malmesbury as a “hideous darkness”. •	In 1919, scientists used a six minute solar eclipse to test and prove Einstein’s theory of relativity. •	March 9 – brings a New Moon eclipse in the sign of Pisces. It’s a very healing lunation. If you want to heal any part of your life – from your love life now to healing any hurt from any time, work on yourself around this eclipse. In particular, forgive anyone who you feel has done you wrong. Forgiveness is healing! •	September 1 – marks the second and last New Moon eclipse of 2016. This one is in the sign of Virgo. If you are starting something in your life and it’s proving problematic, don’t panic. This New Moon urges us to be mature about life. Learn the sometimes tough lessons and the lessons will go away. •	March 23 – sees the Libra Full Moon eclipse. Full Moons in Libra are always important for relationships and eclipses are that times three! If you and your partner are having issues, it’s time to address them. If you’re getting over a split from someone, this eclipse will help you to move on. Work partnerships are also highlighted. Talking things through is recommended for everyone. 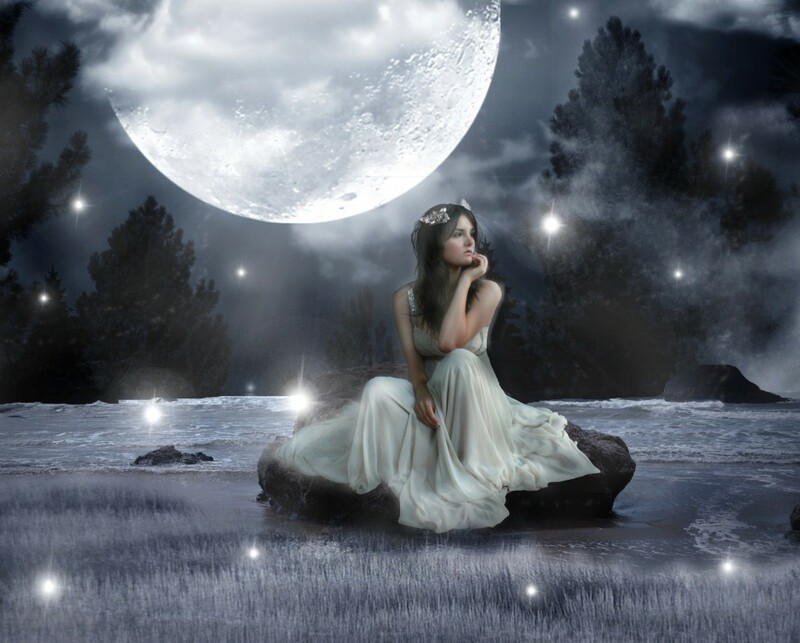 •	August 18 – can be seen as the lucky Full Moon of the year. It’s taking place in the sign of Aquarius and linking to the planet of good fortune, aka Jupiter. If you want to do something with Lady Luck on your side, do it on the night of March 22 or on March 23 before 10.26am BST! •	September 16 – brings a super action-packed eclipsed Full Moon in the sign of Pisces to end the last eclipse season of the year on. It has a flavour of ‘anything can happen and it probably will!” It’s definitely a time to surrender to the Universe! 5. Will there be blood? Will there be more Blood Moons this year? Probably not. Total lunar (Full Moon) eclipses see the Moon taking on a reddish colour during totality. This happens because of something called “Rayleigh scattering”, the same effect which makes the sky look blue… but the Full Moon eclipses in 2016 will not be total. So, no blood! •	The most solar and lunar eclipses that can happen in one year is 7. •	It takes about an hour before total day light is restored after a total solar eclipse. •	The next total solar eclipse visible from the UK will be on 23rd September 2090. 7. People used to be scared of eclipses in ye olde days – and who on earth can blame them? Today we can plot eclipses as far into the future as you want. But in the old days, no one knew they were coming. Imagine the scene; you’re a peasant tilling the fields and all of a sudden, the dogs start howling and the birds stop singing and the skies grow dark! 8. It’s OH so worth marking the eclipses on your calendar now. Think of them as when the Universe will be ‘changing gears’. If you want to make big changes in your life, there is no better time than during the eclipse season. It’s as though it becomes easier to jump from one reality to the other. Get very clear on what you want for yourself in the lead up to the New Moon eclipses. And in the lead up to the Full Moon eclipses, get clear on what you need to release and move on from. 9. You wouldn’t read about it! Princess Diana’s life within the Royal family was very closely linked to eclipses. She was married two days before an eclipse, on July 29, 1981. Around a year later, she gave birth to Prince William on June 21 1982, the very day of a solar eclipse. The palace announced her separation from Prince Charles on the day of a lunar eclipse, December 9 1992. Tragically, Princess Diana died on August 31, 1997, just hours before a full moon eclipse. Meanwhile, Kate, Duchess of Cambridge, was born the day of a total lunar eclipse! And as a PS Prince Charles married Camilla Parker Bowles on April 9, 2005, the day after the April 8 2005 solar eclipse.